Before attempting to diagnose the problem, make sure the parking brake is on. Components that are related to the ignition system can sometimes be behind the issue. Fortunately, such problems are usually easy to identify and fix. First of all, you can check whether the steering wheel is locked by jiggling it as doing so would relieve the lock pressure and enable the key to turn. Some cars with automatic transmission do not let the key turn unless the car is in either in neutral or park. If your car is parked, shake the gear selector slightly so see if it’s in the right position and then try turning the key again. Another possible reason behind the problem could be that the battery is dead. This is common in higher end cars as they usually have more complex electronic ignition systems. Oftentimes your ignition key won’t turn in your Dubai used car because of some problem with the key itself. For instance, if your key is bent, it will probably enter the ignition cylinder, but it won’t be able to start the car as it will not line up correctly. If your key looks bent, you may use a non-metal hammer to flatten it down. Another problem could be a worn out key and this usually happens when you have had the key for too long. 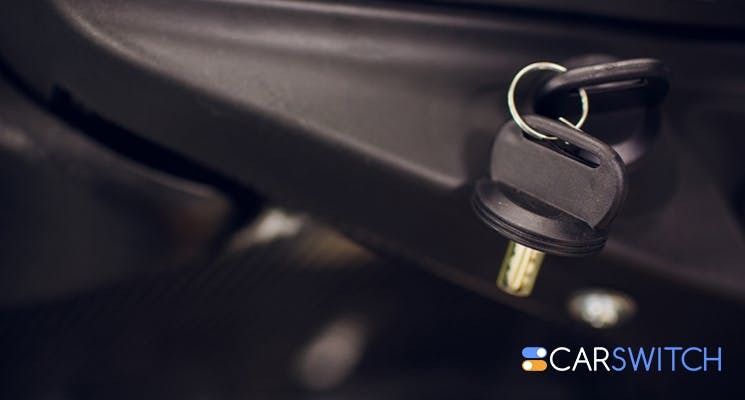 If you do not already have a spare key, you can tell your dealership your car’s Vehicle Identification Number (VIN) to get a new key made. The VIN can usually be found inside the door jamb or on the driver’s side windshield. Additionally, you may also give a key code to the dealership, which sometimes comes attached with a set of keys with newer cars. If you have more than one key on the key ring, you may mistakenly enter the wrong key into the cylinder. That’s why it is essential that you make sure you have entered the correct key. You can also try cleaning the key with a cotton swab and rubbing alcohol as dirty keys are also the culprits sometimes. Sometimes the key cylinder causes problems with a car key turning over. You can check the key cylinder for obstructions as they do not let the key turn the ignition properly. You can use a flashlight to see if something is inside and if that’s the case, you can clean it with an electrical cleaner or compressed air. Make sure your safety gear is on and if you aren’t well versed with this kind of issues, you may get professional help. Another issue is stuck springs and you may resolve this issue using a small tack hammer to lightly tap the key ignition. This will loosen any stuck springs or pins. However, make sure you do not hit hard. If you are still unable to resolve the problem after trying tips and tricks above, it is recommended that you get in touch with a mechanic. Want to upgrade your car? Log onto CarSwitch.com and check out our grand inventory of new and Dubai used cars. Happy shopping! Why are Steering Wheels Round? Mystery Solved! As a driver, your relationship with the vehicle is personal and up-close so that the vehicle. Three Classic SUV’s That Are Awesomely Beige! Dubai used car owners, car gurus and enthusiasts know that automotive trends just like any other. Tips to Prevent your Dubai Used Car from Colliding! Road collisions are mostly caused by human errors. It’s important to follow traffic guidelines to avoid. The British presenter, writer, and journalist, Richard Mark Hammond is a true car enthusiast. He shot.